Today we are learning how to crochet a bunny silhouette. 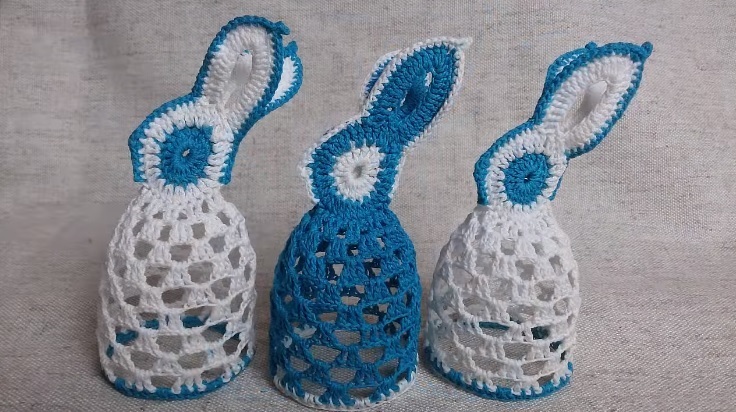 The bunny cover can be used in a lot of different decorative ways, of course obvious of them being the one, where we cover Easter eggs or a single egg with it. The tutorial is not as difficult as it may seem simply by looking at the finished pictures. Within a short amount of a time and we are talking somewhere around 20 minutes, you are going to have yourself a cute looking bunny cover. Make sure to mix it up with different color combinations and as a matter of a fact, even a single solid color can do it for you.